* Support with 4.0 Bluetooth enabled devices, FM broadcase, AUX input, TF card input to meet your requirements, Mp3/Mp4, Android * Advanced 40mm large deriver and 4.0 bluetooth technology, 4.0 bluetooth connect seamlessly with all bluetooth enabled devices, large drivers offer you exceptional clarity, Hi-Fi sound, reinforced bass, built-in active noise reduction microphone bring you crystal loud song and clear communication experience. *Fordable, lightweight and easy storage design, best choice for indoor and outdoor usage. 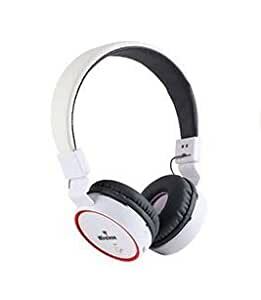 * Built in 300mah Lithium battery, once full charge it about 1.5 to 2 hours, then it can standby long to 30 hours, or enjoy music about 8 hour. * Have a BT08 bluetooth headphone, you can hear great sound from the headset and awaty from the noise. Itâs a great gift for kids to learn, adults to exercise. Dongguan Xinbaike Electronics Co., Ltd.